Each competitor must carry a number of mandatory items on his/her person at all times as a minimum safety standard while on the course. Competitors will encounter checkpoints along the course where race officials may check for mandatory gear. Race officials will issue time penalties for missing items. The following lists outline the required equipment. 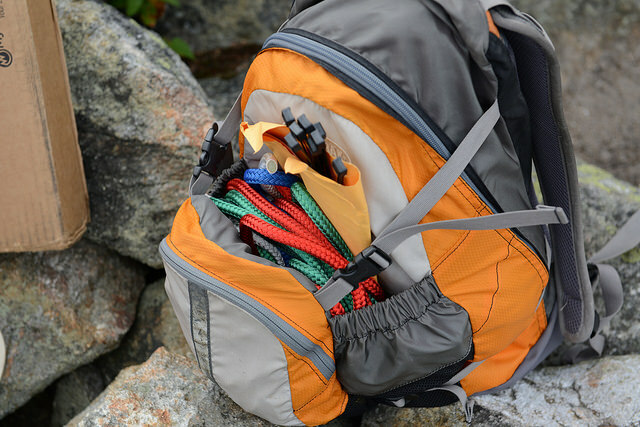 These lists do not constitute a complete inventory of gear that a competitor should carry. The lists may be subject to change. Participants will be notified of any changes to the mandatory gear requirements in advance of the event. Each person is responsible for carrying his or her own appropriate equipment and clothing for the climate, conditions and activities. SCI will provide Fueling Bags each morning, but you may choose to bring additional food. You should bring at least 100 oz. of water up the mountain with you each day.